This a private luxury villa comes with a private pool and large lush gardens. Theproperty also has secure off-road parking. This beautiful villa can sleep up to eight people. It is minutes away from the beaches and short drive to the beaches, golf and marina of Sotogrande. It is a thirty minute drive to the lively resorts and beaches of Puerto Banus and Marbella with its fantastic bars, beaches, restaurants and of course, shops. Fiteen minutes drive to the North brings you to the seaside town of Estepona, which is full of character, bursting with a wide variety of bars and restaurants. Drive south for 20 minutes and you have Gibraltar. The villa has a large lounge with dining area, and a modern fully equipped kitchen. The are four bedrooms,one of which contains a double sofa bed. There are several large private terraces with plenty of places to relax. 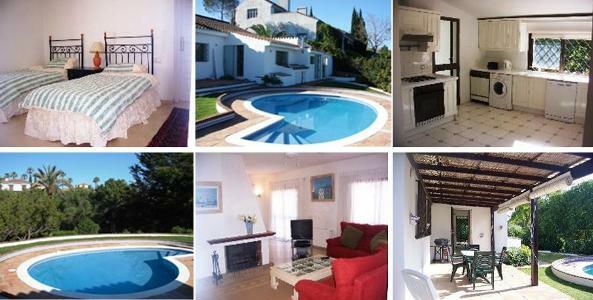 To Enquire about Sotogrande Villa Rental Click Here !